Social media is about that - being social - not salesy. Gently pulling people into your business through telling a compelling story - not thrusting your message onto them and ramming it down throats of unwilling people, over and over and over again. Facebook has become a place for businesses to sell, sell and oversell their product - especially direct sales. Some direct selling companies have strict guidelines in place, others don't. Some even manage your social media for you! Not long ago Facebook banned 'like-gating' that is asking for likes in return for winning a prize, with a new range of changes due to come into play in January 2015 they are making it harder for you to 'conduct business' on their platform. Facebook continuously seeks feedback from users on improvements. In a recent survey in regards to Newsfeeds, users requested wanting to see less 'ads' and more from their friends and pages that they choose to follow. 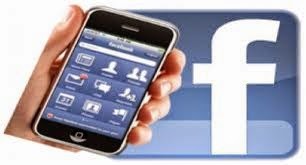 So Facebook are answering the needs of its users and in January 2015 we will see more changes to what users will see on their newsfeeds - and this will impact businesses. Do not despair however, Facebook was never supposed to be a 'place to do business' it is social - there to build relationships. To do business send people to your website. Create landing pages. Build your e-mail subscribers. Facebook (and other social media) is merely a way for you to build a relationship with interested people and funnel them to your website. We will endeavour to keep you up-to-date with Facebooks changes and in the mean time you can do a free digital review with us!